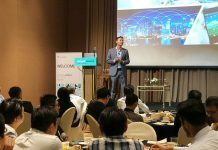 At the beginning of June, CIO Academy Asia (CIOAA) partnered with Commvault to host technology leaders in a thought- leadership sharing forum. Hosted at Schneider Electric’s Innovation Hub. 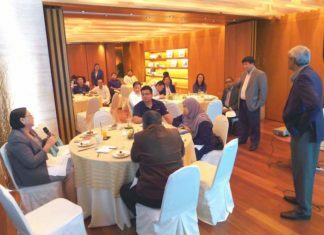 Data management practitioners from CIOAA, Commvault and Microsoft, together with executive peers shared insights into best industry practices and new technology toolkits in their data management strategies as part of their digital transformation journey. Data has become the most valuable commodity available to organisations. With the rise of digital touchpoints and Cloud capabilities, the volume of data that organisations have collected over a wide array of sources has risen exponentially. However, corporations, start-ups and government agencies globally have only scratched the surface on uncovering the potential of data in transforming the way products are shipped and services rendered. A study conducted by Digital Universe puts things into perspective – less than half a percent of data is analysed and that less than half of data requiring security measures is protected. The latter probably calls for greater concern, considering heightened public concern over data privacy and the recent tightening of global regulatory standards such as the European Union’s General Data Protection Act (GDPR) which came into effect in May this year. This introduces a rather unique dichotomy. On one hand, technology leaders are presented with new opportunities to generate data insights and radically transform the business, but on the flip side, there are associated risks in managing voluminous data, in which mild oversight will be disproportionately detrimental to the trust that their organisations have built-up over the years. With so much at stake, traditional data management strategies need a thorough rethink, so that organisations can advance on their data-driven transformation in a secure and sustainable way. 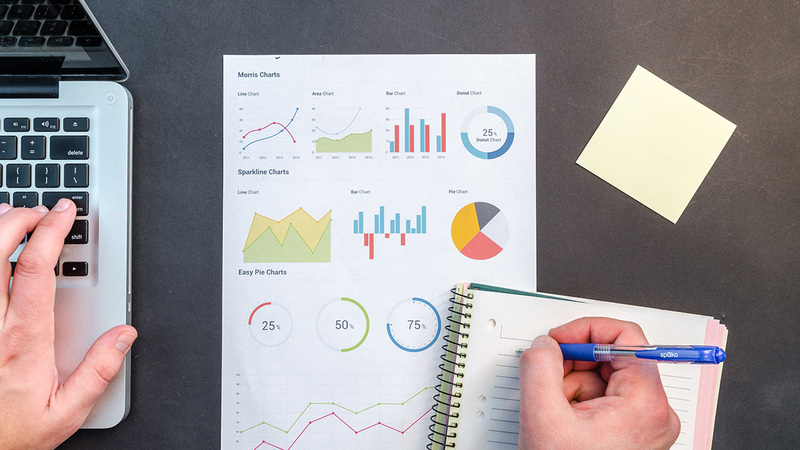 As data-sharing grows not only within the organisation but also with external partners, it is critical that organisations keep a clear view on their data sources and maintain a high standard of data-consistency across the organisation. Neglecting a backlog of unresolved disputes over the consistency and veracity of data carries a high risk of such inefficiencies manifesting within the customer experience. Take for example, should a customer update his personal particulars in one of many monolithic applications within the same organisation, common challenges surface to ensure that the most updated customer information is retained, and old customer data is overwritten. Failure to establish a simple process like this might lead to a frustrating experience when a customer encounters difficulty in accessing services with his updated credentials. 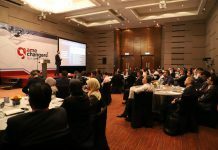 Shedding more light on finding a balance between opportunities and risks of capitalising data is Matthew Johnston (Area Vice President, ASEAN & Korea, Commvault), who has his own spin on it, calling it the “Data Dichotomy”. As the volume and variety of data grows, so should the focus from CIOs to ensure there is a systematic approach in managing data. Having a map on the sources of data under the responsibility of the organisation is a crucial before data can be archived according to its intended purposes. Many organisations today operate on a hybrid IT and hybrid cloud infrastructure, and data is typically in various formats. Establishing a robust data architecture that makes the most frequently used data available with the least amount of compute power required, has profound impact on cost savings and throughput efficiency. Unified Cloud Protection: Backing-up Data From Each Storage Location. Maintaining an up-to-date back-up of data is critical for business continuity and an effective hedge against cyber-threats in targeting organisations’ data for exploitation. Organisations today maintain multiple digital touchpoints with suppliers, internal stakeholders, as well as customers. One common challenge is that duplicate copies of data are being archived in different Cloud or on-premise infrastructure, resulting in inflated storage costs. Depending on a single map of data sources and unifying the organisation’s back-up and recovery infrastructure will make a significant difference in storage costs over the long run. Control External Data: Managing All of One’s Devices. Mobile devices and intelligent IoT sensors today have the ability to collect, process and store large volumes of data. As organisations manage a growing inventory of connected edge devices, organisations must not neglect to implement processes and maintain a unified back-up critical data stored across these distribute devices. Schneider Electric, a global specialist in energy management is a prime example to showcase how an organisation, strongly rooted in its engineering capabilities, has not only transformed to harness the power of Big Data, but has done well in managing large and disparate data sets to generate actionable insights. 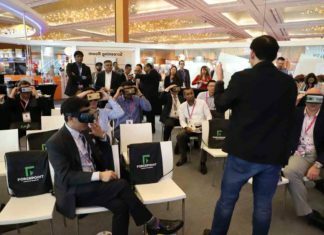 Rajiv Renganathan, Head of IT, East Asia at Schneider Electric explained how the Schneider building operates industrial utility products that are fitted with smart sensors and connected to the cloud for real-time operations monitoring and analytics. With Schneider’s IoT capabilities, customers are able to track information such as power consumption and take steps to optimise utilisation from a central command centre, where common utilities such as lights and cooling can be configured to power-down automatically during non-office hours. Connecting data collected from critical utilities such as data-centre cooling to the cloud allows for ease of access, but also introduces vulnerabilities and opportunities for malicious attack. Schneider’s track record in maintaining business continuity by establishing a set of processes and tools to ensure adequate contingencies are in place to manage such risks is a good case study that we can glean valuable lessons from. While organisations seek to embrace the benefits of cloud computing, the transition to cloud is never a smooth sailing one. Some organisations are hesitant to progress towards cloud computing, whereas others are met with roadblocks while making the shift to cloud. With the guidance of an expert panel comprising Mark Bentkower, Director of Solutions Marketing, Asia Pacific, Commvault, and Richard Knight, Microsoft Azure Business and Strategy Lead Asia Region, Microsoft, the session’s moderator Rama, led the discussion to tackle some of the most teething issues around leveraging the Cloud in data management. In the past, organisations could afford to store its data in a single location due to the relatively smaller volume and predominantly structured nature of data. Mark noted the significant rise in the volume and variety of data since then, meant that organisations have to examine the intended purposes of each data set and establish storage tiers to optimise storage costs. Tiered storage allows businesses to manage costs by keeping rarely accessed data on cheaper storage, and frequently accessed data on more expensive, high-performance storage. Building a modular architecture also facilitates access to data, optimises costs and widens the spectrum of services that organisations can access. Organisations today depend a lot more on the middleware ecosystem to help business users (with appropriate rights) to access and interact with data more easily regardless of storage location. Richard envisions a future where monolithic applications will be a thing of the past – with hardware and software decoupled, organisations are better able to unify back-up and recovery and reduce costs associated with storing unnecessary duplicate back-ups. Edge computing capabilities have now enabled voluminous data to be processed right on a mobile device or a smart sensor, without the need for data to be sent back and forth on a network between endpoints and central computing resources for heavy duty work such as real-time analytics work to be done. Computing power today needs to be much more distributed – the frequency and purpose of utilising data collected at the edge will determine its location and in turn, compute power has to be provisioned to such distributed locations closer to the edge. Aside from storage and compute capacity, technology leaders also need to provision for efficient data sharing within a Local Area Network (LAN) such that employees located within physical proximity are able to consolidate data on a Cloud platform from a set of nearby devices and perform data analytics within their physical location. Sharing about his personal involvement in edge computing, Richard cited many untapped data sources available in South East Asia. Edge computing is especially valuable in places with limited connectivity, where a consistent connection to a centralised data centre cannot be guaranteed. Microsoft has enabled data analytics at the edge by using small, low-powered devices. For instance, Microsoft utilises TV white spaces and channel bandwidth, to offer connectivity at broadband speed for people living in remote farms. With reliable connectivity, farm owners are now able to leverage a set of connected sensors to better track the performance of their crops and make real-time adjustments to maximise yield during harvest. With new regulatory standards and further tightening to follow, Mark emphasised the need for data to be stored by design rather than by chance. Data sovereignty brings geographical rules into play that technology leaders must be aware of. Mark recommends that organisations should establish a set of rules to determine where data should be stored, an automation engine to execute those rules and a mechanism to inform governing bodies on notable changes in the organisations data management policies. Managing permission and rights to customer data was next on the agenda, as common concerns were raised by the attendees around GDPR that had recently taken effect as organisations continue in their efforts to meet new compliance standards. Mark highlighted the need to set policies and formalise the usage of a Customer Relationship Management (CRM) tool so that customer permissions are consistent throughout the organisation. While the benefits of managing data over a Cloud platform are apparent to technology leaders, gathering support from the board and the business might require some convincing. Starting small pilots and demonstrating business value ahead of costs help build a compelling business case for tech leaders to gain footing in cloud adoption. “Business first, technology second”, was the name of the game for Richard. Drawing from his experiences in Microsoft, He commented that many customers he interacted with in Thailand were averse to the Cloud due to privacy and security concerns, but continued to consume services from Microsoft Office 365, unaware that their documents were already stored within Azure. 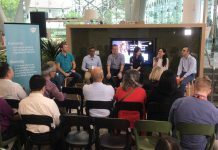 “When customers look at Cloud from a business perspective, the benefits far outweigh the risks.“ said Richard, who emphasised proving business value above technological capabilities offered by the Cloud. Building on the discussion, Matthew highlighted that Commvault and Microsoft offers the opportunity for tech teams to launch a pilot with a small volume of data using the Commvault and Azure Stack to integrate workflows between Cloud infrastructure and deep archiving capabilities. This will give them a better understanding on the platform’s benefits before committing head-first into a full-fledge data-archiving solution. Both Richard and Mark made reference to a point discussed earlier around building a modular architecture. The panel encouraged the group not to get over-invested on building a perfect Cloud platform, or spend excessive time implementing processes for the business to use the Cloud services but focus on building modular apps and services while minimising dependencies, that are aimed at solving business challenges and introducing productivity to the business. Building light-weight and targeted business solutions will be the approach organisations have to take to maximise returns on tech investments on a tight timeline!